These prices do not include freight. Usually allow $20 for Australia Post, this will include a signature required to collect. All our Irukandji Standard and Irukandji Lite Tuners are $330.00 inc GST. The only options are colour. They are available in ‘as machined’ clear anodized Aluminum colour or anodized Black. Please note that Anodizing is a chemical process and there will be variations in colour between parts, even in the same batch. We will try to make your tuner as close in colour as we can, but no refunds will be accepted for any colour differences. If you require us to bore the tuner to fit on your rifle please allow $30.00 inc GST. We will bore the Tuner 0.05mm larger than the measurement you provide us in an Email. Please note we have a strict no refund policy for machining as we have no control over the accuracy of your measurement. 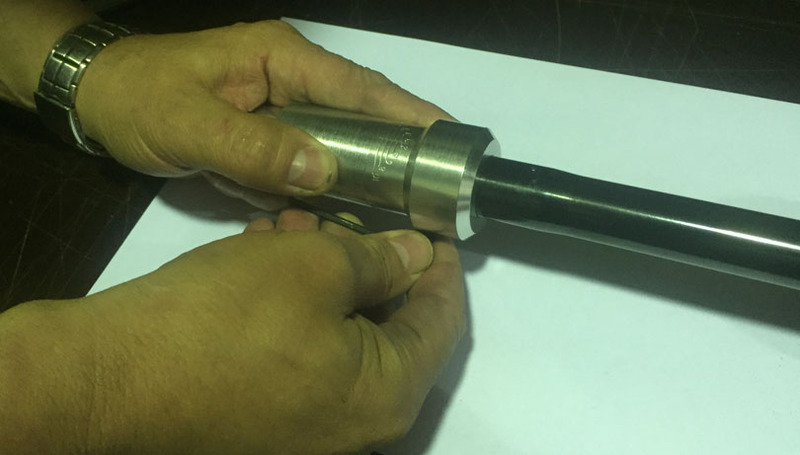 Our recommendation is always for you to take it to your own gunsmith for correct fitting. We normally bore in about 30mm in for the Standard Tuner and about 23mm for the Lite Tuner. It needs to be bored just past the clamping slot so you have a complete bored hole.